1. Fat and cholesterol are essential for the human body and to sustain life. 2. Eating fat does not make you fat. Excess carbohydrates make you fat. 3. Not all fats are created equal. 4. There is no scientific evidence or connection to saturated fat intake and heart disease. 5. Excess carbohydrate can get converted to fat. 6. Cholesterol is no more the cause of heart disease than gray hair is the cause of old age. 8. High levels of blood sugar react with cholesterol and insulin to inflict arterial damage. 9. The best sources of Omega-3 come from wild fish and wild meats. 10. 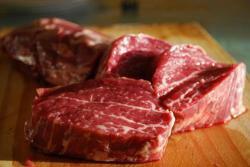 Grain-fed meats have higher Omega-6 content. 11. The ideal ratio of Omega-3 to Omega-6 is 1:1 but current human ratio is approx 1:10, most likely higher. 12. High Omega-6 intake causes Systemic Inflammation. 13. Omega-6's from plant oils are a major problem. A few other factoids: The brain is 60% fat, the body runs 25% more efficiently on fat than carbohydrate, and the body recycles and reuses 90% of its cholesterol. The war on fat started about 60 years ago as a government commission set out to prove that fat causes heart disease and that we should eat less fat, more whole grains, and 'better-for-you' man-made trans fats like margarine. Of course this is all false as the state of people's health shows. In addition, there is no dietary requirement for carbohydrate and the body can run just fine on protein and fat. Excess carbohydrates not only increase blood sugar leading to a host of metabolic disorders, but deprive the body of its essential nutrients, fat and protein. Although many vegetarians will argue that you can get all of the protein, fat and other nutrients you need from grains, legumes, vegetables, and fruit, it just ain't so! Although vegetables and fruit a great for certain phytochemicals, vitamins, minerals, and fiber, excess consumption leads to high levels of circulating glucose, insulin, small-dense LDL cholesterol, and arterial damage. Different fats come from different sources, have different physiological roles within the body, and each is subdivided into different fatty acids, described by how many carbon bonds they have. Saturated: names like Lauric, Palmitic, and Stearic acids. - Animal sources, coconut oil, human breast milk. - Not the grim reaper it has been made out to be. - Good and essential but too much in the presence of too much carbohydrate can be bad. - Feeding animals grain alters the fat. 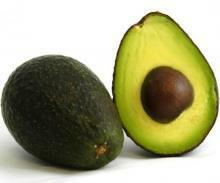 - Plant sources like avocado, olives, and nuts. - Leading Omega-6 offenders are vegetable oils like soy, corn, safflower. You have probably seen on fish oil supplements the amount of DHA and EPA. Both of these guys have the anti-cancer, health, longevity brain-enhancing, and anti-inflammatory properties you are looking for. Another guy, ALA, from good plants like flax, nuts, seeds, and hemp, can be converted to DHA and EPA, but it is a slow and long process. Better to get Omega-3 from wild meats. Linoleic acid: vegetable oils like safflower, soy, corn & sunflower. - borage, primrose, hemp oils. - gets bad press but is really essential for brain function and muscle repair and metabolic regulation. Heating and adding hydrogen to vegetable oils makes them solid at room temperature and gives them longer shelf life but with serious problems to internal chemistry. Even though they are being phased out of many foods, harmful vegetable oils are added to almost every product imaginable. Read the label! Fat is essential for life. 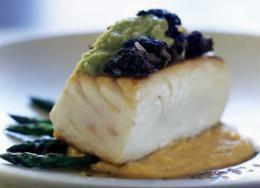 Choose wild fish and meats, some nuts and seeds, and fruits like avocados, coconut, and olives. Fat is not only essential for hormone manufacture, nerve tissue integrity, production of bile, energy, and cell makeup, but is a key player in reducing inflammation and inflammatory diseases such as Alzheimer's, Arthritis, Asthma, Atherosclerosis, and Parkinson's. For over 50 years there has been a witch hunt on two main constituents of the Human Diet: Fat and Cholesterol. Both are essential to sustain life, yet most doctors, the FDA, diet centers, various nutrition 'experts', and even your science teacher, have mounted a war on fat and cholesterol that have made the two words horrible and too evil to mention in certain circles. Each camp has their opinion, (or hidden agenda), as to why you should avoid fat. They have tried tried trans fat, (remember margarine? ), sugar free, (but full of trans fats), fat free, (but full of sugar), sugar substitutes, (chemicals you can't pronounce), and no trans fat!, (using soybean, cottonseed oils instead). Obviously none of these sales tactics are working as the obesity, heart disease, and diabetes are all on the rise. "Fat is our most efficient, dense, and prolonged-burning fuel. It is essential for and important multitude of bodily processes, not the least of which is the functioning of the human brain."